Tokers fiddled while the industry burned. A Purple Punch flower at an underground market in Oakland. As the fog lifts on the biggest April 20 in the history of the unofficial cannabis holiday, a lineup of contradictory insights look clear as day. 1. The legal market is swamped. April 20 is a terrible day for anxiety sufferers to try and shop for their herbal medication. The crowds and loud music started as early as 6 a.m. at Berkeley Patients Group and they didn't let up all day at the region's retailers, which offered free goodies and steep discounts. California may have sold over $500 million in legal pot this year, and April 20 promised double the average day's retail traffic and revenue. But a little over 100 days into commercial sales in California and just 300 stores are open for a state of 38 million people. Two in three California cities and counties have opted out of taxing and regulating legal cannabis. If you were looking for quick retail service, everywhere was a bust. Harborside reported waits of 45 minutes. At Magnolia Oakland, executive director Debby Goldsberry struggled to manage more than 1,000 customers Friday. 2. The illegal market is swamped. Across Oakland, unlicensed retailers also put in long hours serving discounted eighth-ounces at an estimated 10 large underground marijuana markets. Hundreds of customers snatched up tax-free $20-$30 eighth-ounces of trending strains like Wedding Cake, Sour Patch Kids, and Zkittlez at an underground market in West Oakland. That was about half off the cost of those same strains at Cookies SF, a licensed retailer in San Francisco. Watchers estimate the licit market might be capturing just 10 percent of cannabis' economic activity in the state. But considering we've had cannabis prohibition for 80-plus years, decimating it in 100 days is a pretty good pace. 3. The parties were everywhere. Golden Gate Park saw as many as 15,000 people for the second annual licensed event there. It was warmer and sunnier at Lake Merritt, where smaller groups dotted the lakeside and the positive vibes were downright contagious. Every club threw a party, and DJ Rocker T spun vintage reggae at Magnolia's gathering while food trucks, raffles, and a farmers' market bristled with activity outside. Seemingly every music venue got in on the act, too. Bay Area weed rap mogul Berner threw the biggest bash at Bill Graham Civic with 2 Chainz and others. Thievery Corporation launched a vape cartridge inspired by their hit "Lebanese Blonde" for the Pax Era. 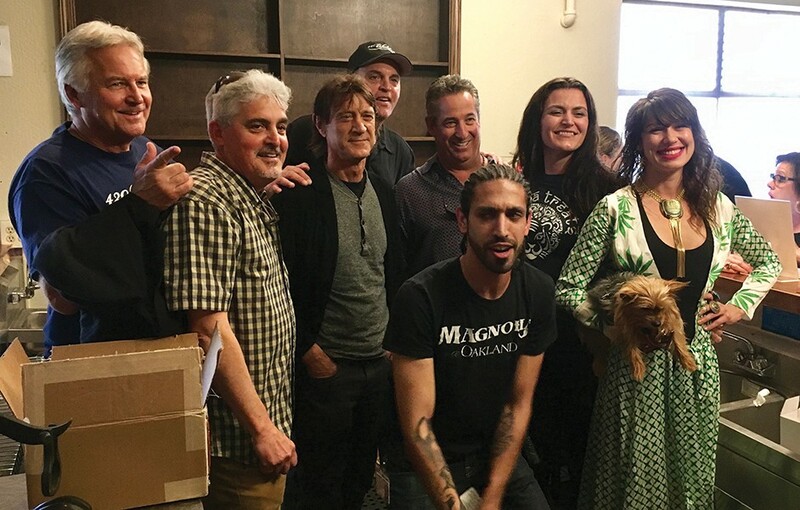 The originators of the term 420, nicknamed The Waldos, officially launched their own vape pen — dubbed "1971" — at Magnolia Oakland with a ceremonial vape sesh at 4:20 p.m.
4. The parties are over. Down south, San Bernardino city officials poured cold water on High Times' famed Cannabis Cup. The 30-year-old contest and smoke-out had to go down without any licensed sales, samples, or on-site consumption, which really is no Cup at all. Attendees demanded refunds. Vendors canceled promotions. To hard-core weed fans, state regulations of events are probably the most disruptive part of legalization. California's massive smoke-outs of the past counted on legal gray areas. Nowadays, pot law is black and white: Legal events can only happen at state fairgrounds, subject to local city approval. And only licensed retailers can sell weed at them to adults 21 and over. The party is over for the industry, too. April 20 signified the expiration date for the first batch of state temporary recreational sales licenses. Extensions will only be granted to licensees who've turned in their paperwork — and fingerprints — for full, annual licenses. Few have. Over at the West Oakland weed bazaar, almost all of the two dozen vendors used to sell their crops to licensed dispensaries. Nowadays, licensed clubs can only buy from licensed distributors, who have to get it from licensed farms. Underground growers either can't or won't get those licenses, so they've regressed into guerilla retailers. 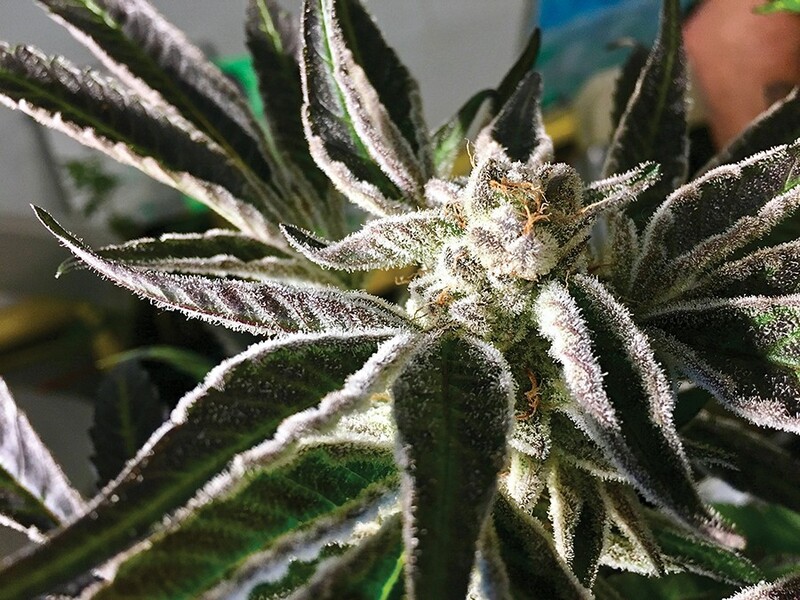 If December's Emerald Cup was the party the industry threw before the regulatory asteroid hit, then this year's 4/20 was the party the industry threw despite nuclear winter. Looking out across the dingy, packed showroom at the Oakland weed bazaar — where seemingly everyone was tatted, pierced, hooded, braided, bearded, and/or stoned — it looked like a scene from The Hunger Games. "This is kind of like, 'Here's the last stand,'" said the West Oakland market operator, gesturing at it all. The Waldos launched their own vape pen at Magnolia Oakland on 4/20. 5. The injustice of cannabis policy has never been more acutely felt. April 20 on social media had one main theme: The unequal application of the law in America. We are having an "emperor wears no clothes moment" about pot policy. It's driven by the contrast of more than 10 million Americans who may have toked up Friday, versus the more than half a million pot arrests that will occur this year. Former Republican Speaker of the House John Boehner announced last week he'll join the board of a cannabis business. Days later, Colorado Sen. Cory Gardner said the White House will support states' rights over cannabis. On Friday, New York Sen. Chuck Schumer announced he would sponsor a federal decriminalization bill. "It's all coming to a head," said Oregon Rep. Earl Blumenauer, co-founder of the Congressional Cannabis Caucus in a "Cannabis State of the Union" address last week. Award-winning journalist and best-selling author David Downs has returned to report Legalization Nation weekly. He is the co-author of Marijuana Harvest (2017).